Established by Swedish inventor Alfred Nobel in 1895, the Nobel Prize is a set of annual awards bestowed upon individuals in recognition of cultural and/or scientific advances in six categories – Literature, Chemistry, Economics, Physics, World Peace, and Medicine. Between 1901 and 2018, the Nobel Prize has been awarded to more than 900 individuals and organizations. At least 203 of them have been Jewish. 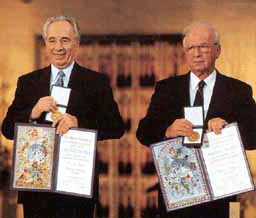 Israel has produced a disproportionate number of Nobel Prize winners. In August 2015, Times Higher Education ranked Israel the fifth best performer this century based on the number of Nobel Prizes won as well as the significance and prestige of each one. The publication also ranked global universities based on Nobel Prize winners and the Technion-Israel Institute of Technology placed eighth, higher on the list than Harvard and every British University.